The exchange of ideas makes history as surely as the exchange of gunfire. 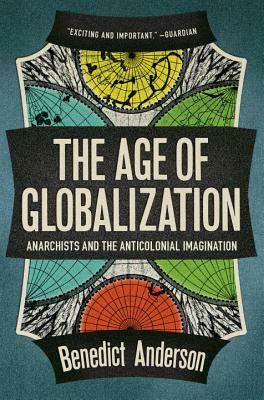 The Age of Globalization (previously published as Under Three Flags) is an account of the unlikely connections that made up late nineteenth-century politics and culture. In particular, Benedict Anderson examines the links between militant anarchists in Europe and the Americas and the anti-imperialist uprisings in Cuba, China, and Japan. Told through the complex intellectual interactions of two great Filipino writers—the political novelist José Rizal and the pioneering folklorist Isabelo de los Reyes—The Age of Globalization is a brilliantly original work on how global networks shaped the nationalist movements of the time. Benedict Anderson is Aaron L. Binenkorb Professor of International Studies Emeritus at Cornell University. He is editor of the journal Indonesia and author of Java in a Time of Revolution, The Spectre of Comparisons and Imagined Communities.